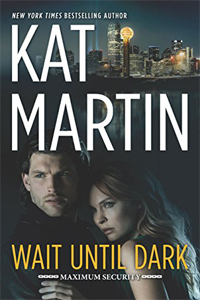 In WAIT UNTIL DARK, Jonah Wolfe, a private investigator, has a knack for spotting trouble. When April Vale storms into his office, all his warning signs flash neon red. April’s been accused of murder--but has no memory of how she awoke in her coworker’s bed, drenched in his blood, the deadly bullet fired from April’s own gun. April must convince Jonah to help her prove her innocence and the clock is ticking. The real killer is out there--and if they don’t find him before it’s too late, April may be his next victim. I like her books and look forward to reading her new series. This one sounds great. I can't wait to read it. Sounds like another winner for Mrs. Martin!